It was a pleasure to be at the support center this week because we had the opportunity to be here to welcome Jason and Jonie M. to the center. 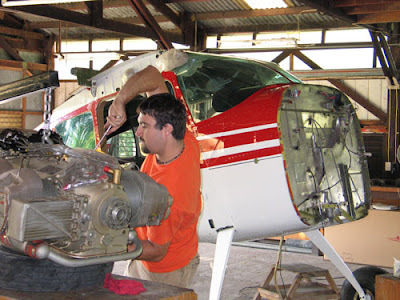 Jason is a airplane machanic and with the help of a few others, plans to have both NTM airplanes ready to fly again in the next few months. Thanks for coming Jason! By the way, when I showed up with my hammer, they said they didn't need my help and that it would be best if I just worked on my crates.